Our facilities can be hired by Pony Clubs, Riding Clubs or individuals and groups of friends for rallies, camps and schooling. Call the office to discuss your requirements. 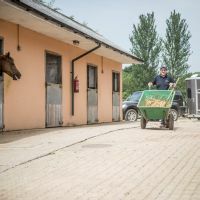 Limited short term stabling can be arranged at a cost of £20.00 per night on straw. If bedding other than straw is required then a surcharge will need to be made. 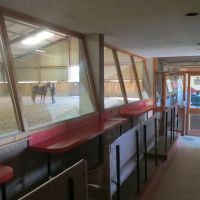 £20.00 per horse per hour, when school not in use. 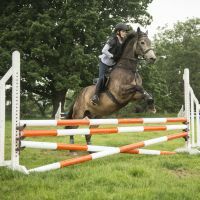 Urchinwood Manor’s Cross Country Course consisting of jumps from 1’0” – 3’3” and is open from the end of May until the end of September (ground permitting). We strongly recommend that clients using these facilities wear body protectors. The cost is £15.00 per session. To book the course, please telephone the office. 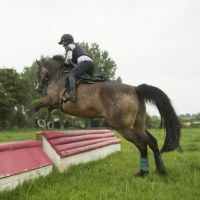 School your horse or pony over a full set of show jumps and adjust the course and height to suit your training programme. We strongly recommend that clients using these facilities wear body protectors. 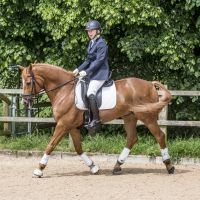 £12.00 per horse per hour, £8.00 for additional horse with same rider. 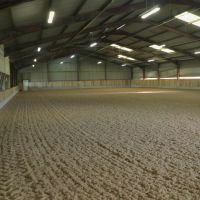 £8.00 per horse per hour for groups of 4 and above. £7.00 per horse per hour, £5.00 for additional horse with same rider. 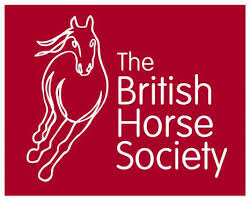 £5.00 per horse per hour for groups of 4 and above.